I really can't believe how fortunate we were to move into our neighborhood. Everyone is so friendly and most of them love just hanging out together outside chatting while our kids are contently running wild up and down the street. We seem to have a lot of impromptu block parties. It starts with a couple of people and just grows. The other day it was dark out and way past dinner time, but no one wanted to go home so someone order pizzas and fed those that were hungry. This is definitely the type of neighborhood I want my kids to grow up in. I have found my pot of gold at the end of the rainbow. Inside were these fabulous donuts. 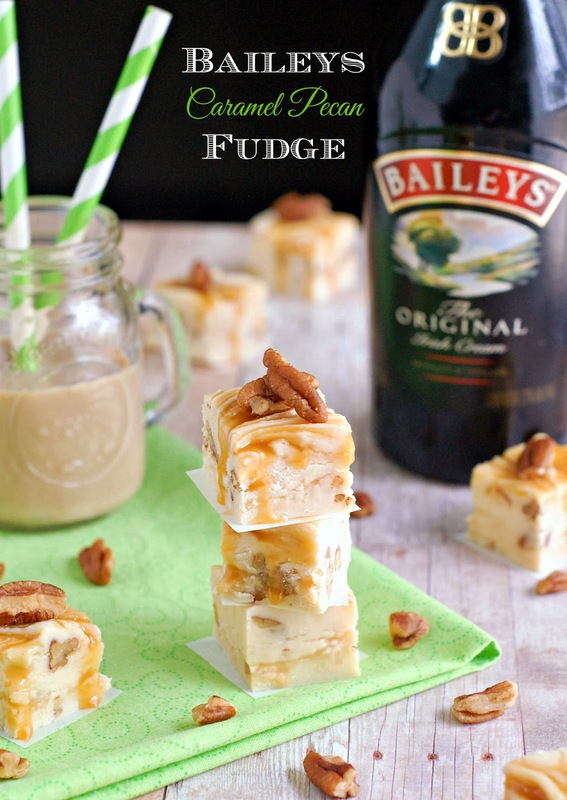 They are full of dark chocolate flavors and Guinness beer made even more decadent by being topped with a light, creamy buttercream frosting made with Bailey's Irish Cream. The combination of all the flavors takes me straight over the rainbow. They are out of this world. I really worked hard on not eating them all myself. 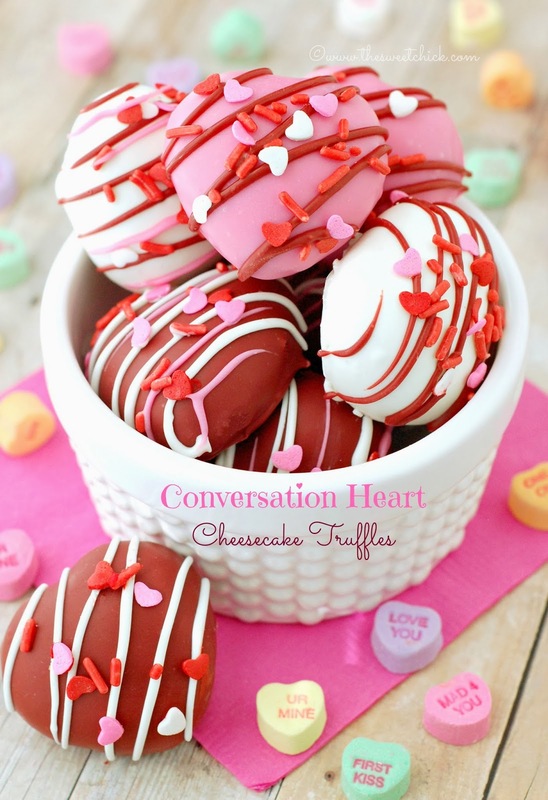 Instead, I was kind enough to share these with my neighbors. They are so helpful when it's time for taste testing. Ok, Valentine's is over. Time for some St. Patrick's Day fun. Are you with me? 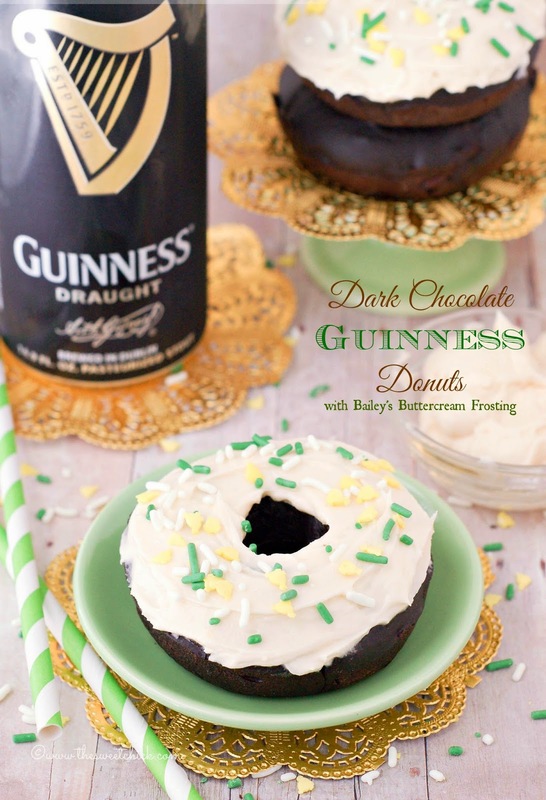 I had a lot of fun with Guinness recipes last year (Dark Chocolate Rice Krispie Treats, Dark Chocolate Guinness Fudge, and Guinness Dirt Cake Shooters) and already have a few ideas in my head for this year's celebration. And since St. Patrick's Day is the day after my birthday, it's always a celebration. 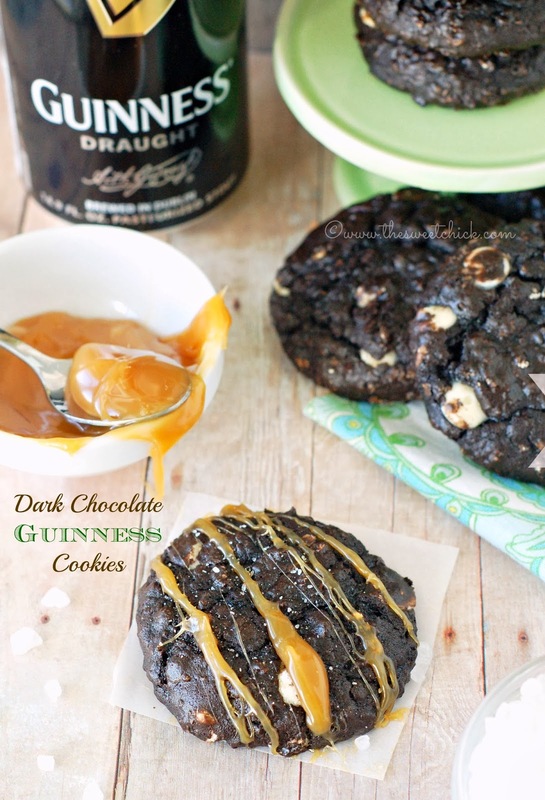 Today I made these Dark Chocolate Guinness Cookies. If you like rich dark chocolate and moist fudgy cookies, you are going to love these. 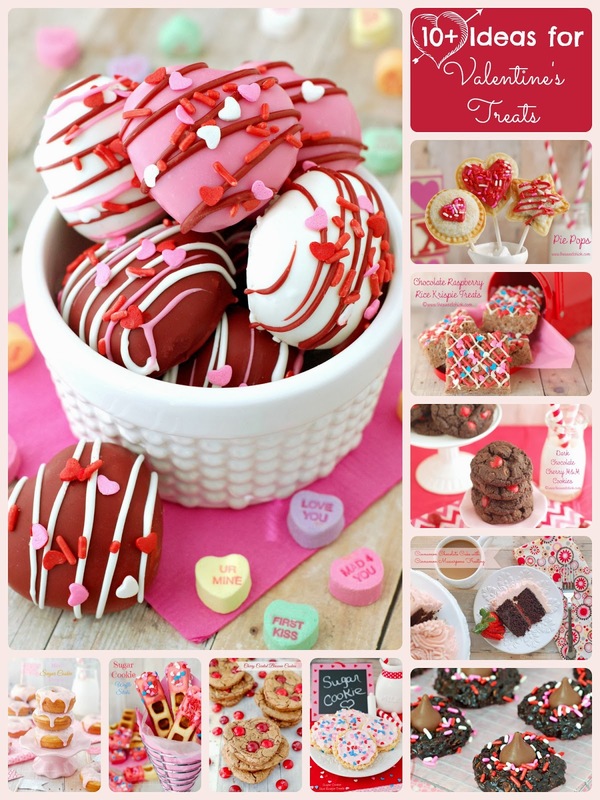 Still looking for something to make for your big sweetheart or little sweethearts on Valentine's Day? Well look no further, I've got a few ideas for ya. I am so excited. I made macarons!! 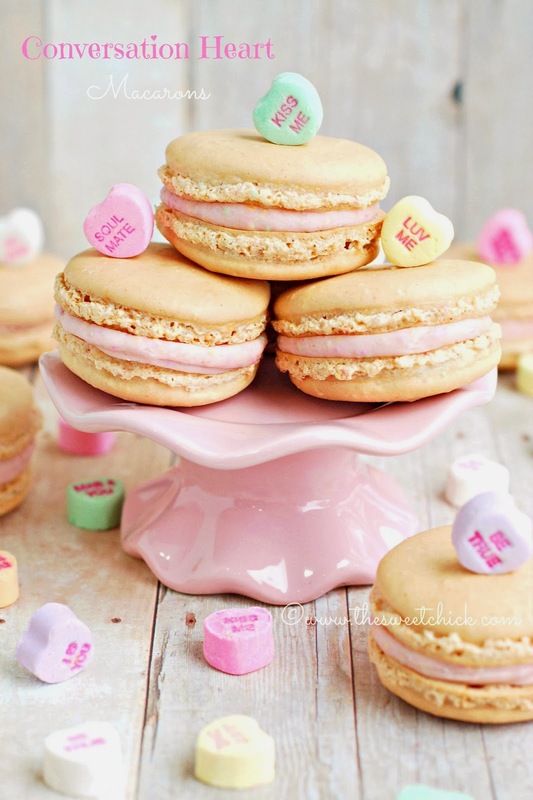 I took classes to make macarons two years ago at Sur la Table, but never made them at home. I never had the time or the patience. But they are actually not that hard to make. I will admit the first try didn't go as well. The macaron batter spread too much, and the macarons stuck to the parchment paper after baked. I narrowed down my problems and tried again. I made sure that my meringue was stiffer this time, I changed the brand of parchment paper, and I used a smaller piping tip. Voilà! The second batch came out beautiful. For those of you that don't know me, I am an organizational addict. I can spend an entire day re-organizing my pantry, my scrapbook room, or my closet. It gives me joy, pleasure, and a sense of fulfillment. Does my addiction drive my husband nuts? Absolutely. Do my friends think I am crazy? Absolutely. Do I care? Absolutely Not! I will continue color coding, labeling, and arranging things by size. Now my daughter on the other hand, is a different story. She has a random personality. She received a Rainbow Loom for Christmas and has been constantly busy making bracelets for everyone and finds it more creative to use random colored bands in no particular order. NO PATTERNS!!??? Who is this child? Surely, she is not mine. Not only that, but I bought her a case to hold and organize all the different colored bands for her loom. At first, the different colors were separated into different slots, but one day she decided that she wanted all the slots to look full so she mixed up all the colored bands and shoved them into the slots. WWWWWHAT???!!! I put up with it for weeks, but my eyes began to hurt from looking at all the disorder and my hands twitched from trying to restrain myself.